We started in Pueblo Colorado, in about 1968 or '69. Ron, Carl and Charlie started jamming together at Ron's house which soon turned into regular practice sessions. Carl and Charlie were close friends and had been in other bands. They also lived close to each other so they saw each other often. A couple of months later, Charlie went to one of their practices and was very impressed with the band, especially with this new guitar player they had, a 16 year old kid from Fountain, Colorado, named Bobby Barth. That is when Charlie joined the band. The band went through several members during that time. Rose Mary Duran sang in between knitting. Steve Brown played the bass for a few months. We had another female vocalist for a couple of gigs, Beatrice Oven I think was her name? I remember we always called her BO. We played at the Southern Colorado State College student union a few of times and also in the little mountain town of Salida, Colorado a couple of times. Carl was playing organ in this incarnation and Tom Snowbrick played trumpet. Mike Carrroll and Steve Moore had played together in another band and joined our band at the same time. Mike played trumpet and Steve played organ and French horn. When Mike and Steve joined. Carl moved back to bass. The band then consisted of Bobby Barth on lead guitar and vocals, Ron Struthers on sax, flute and vocals, Mike Carroll on trumpet, flute and vocal (later Mike also played guitar and piano), Steve Moore on organ, French horn and vocals, Carl Marcon on Bass and vocals, Charlie Ferrill on Drums. 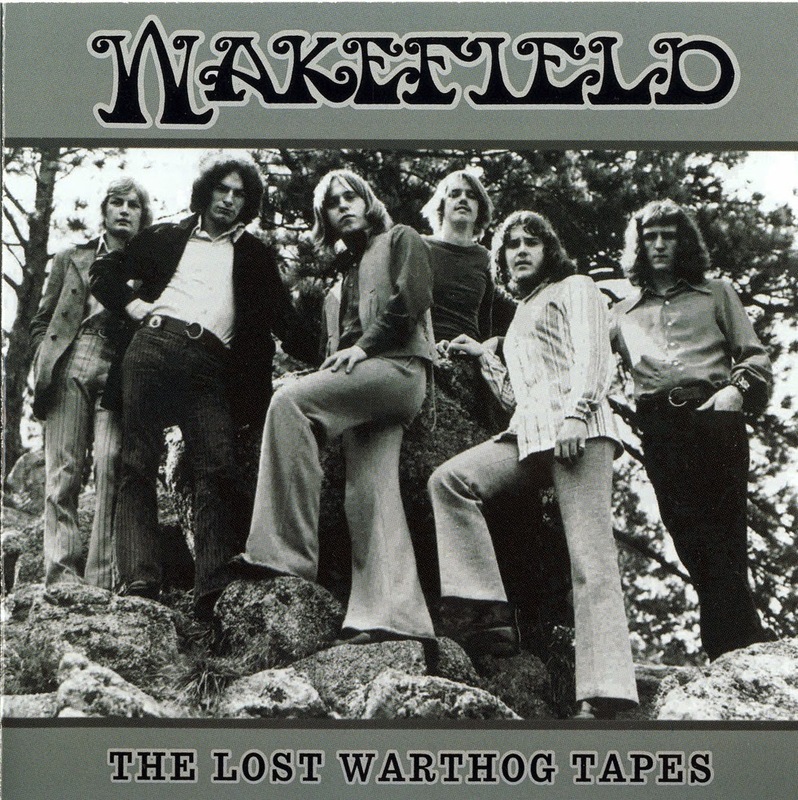 That was the incarnation of "Wakefield" that started playing around the state. We played shows in Colorado Springs with a fake "Zombie's" and one incarnation of "Fleetwood-Mac" We also played several high school proms in Pueblo. We got our first "steady gig" at the "New Gnu" a restaurant/night club at the Vail ski area. Six nights a week, a few hundreds dollars, a meal a day at the restaurant and use of a condo in East Vail. That was the start of what would be a pattern of working at ski areas over the next couple of years. From there, we got an offer to go to Seattle, Washington for three weeks We played at a club down by the University in Seattle called the Warehouse. That gig ended with us getting fired for being a non-union band in a union town. We sued the owner and lost A couple of years later we played at that club again with much better results Shortly after the Seattle mess we decided to move from Pueblo to the northern part of the state, Boulder or Fort Collins or Denver. We went to Denver and Boulder and did four auditions on the same day. One at "La Pitcheau", a 3.2 bar on West Mississippi Ave. in Denver, a second at the "Skunk Creek Inn", the third at another 3.2 bar in the college town of Boulder and I think the fourth one was the "Psychiatrist" in the Cherry Creek district of Denver. We actually got hired at all four clubs!! We didn't know at the time that two of the dubs, Skunk Creek Inn and La Pitcheau, were owned by the same group of people: Al Roth and his dad and his uncle, Nate FeW. As a side line, Nate Feld, Allen Roth and Al's dad were the money behind Barry Fey. Barry had great ideas but no money. When we called Al's office and wanted to be put straight through to Al instead of being on hold for a long time, we'd tell the secretary that we were Barry and we would be put through immediately. Of course, it pissed Al off to no end. Al was a club owner/club manager at that time, not really a booking agent or artist manager but he became our manager and later became an agent. About this time, Steve quit the band and we auditioned several people but decided that we were better off just having one of other guys in the band fill in on keyboard when we needed it. It was about this time that we did a recording session at "Fred Arthur Studio" on East 17th Ave. in Denver. Fred Arthur is best known for recording radio and TV commercials but he did do some classical music. I think we were the first rock band to record there, maybe the only one. The tapes from that session have not been found. We met Brent Lewis around this time. He was from San Francisco and did an act called "Putee". He played congas and bongos and had an immense sound system. We toured with Brent for several months. He would play our breaks. Traveling with Brent was a guy named Paul Zamucen. Paul had been a trap drummer in several bands in the San Francisco area. He also played congas. We played several Santana songs and asked him to sit in on them. From then on he sang, played congas, timbales and tympanis. 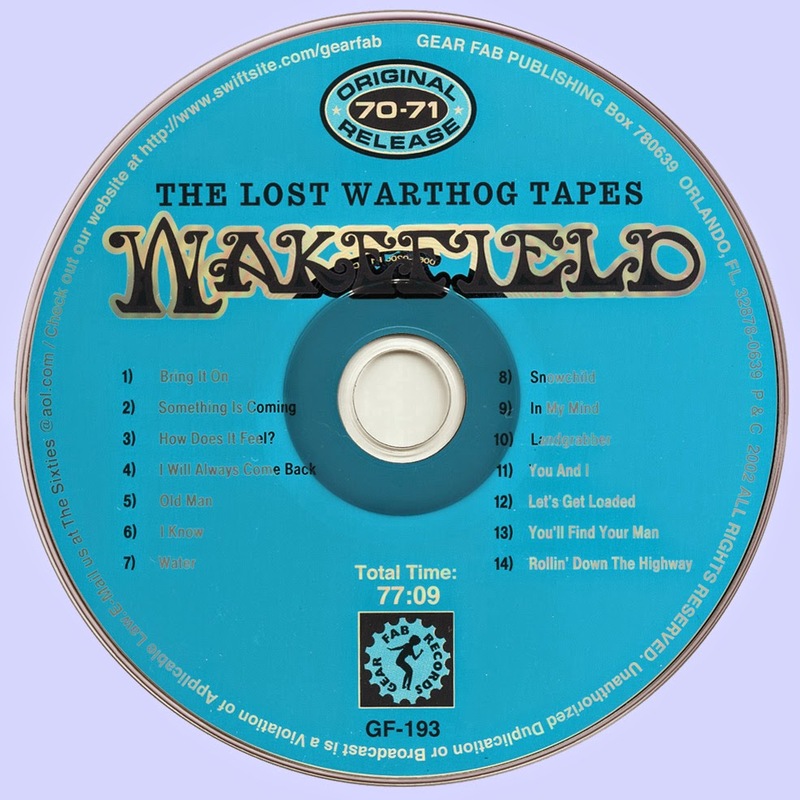 It was around this time that we did a recording session at a low budget studio at the comer ot about 42nd and Sheridan in Denver called "Warthog Studio". Many of the songs on this CD were recorded there. Chuck Berry played several times at me "Skunk Creek Inn* and we were hired to be his back up band on those gigs. We were the opening act for 'War* at the Skunk and another show at Colorado State University. During 70, 71 and 72, we played in Kansas, Nebraska, South Dakota, Montana, Oklahoma, Arizona, California, Washington, Idaho, Illinois and Michigan. It was on one ot the Seattle trips that we did a recording at a studio associated with the agent that helped book the club dates up there. That session started after we got through playing about 1:30 am and went all night. At that session we did "Something is Coming', "Bring It On" and "How Does it Feel*. We finished the basic tracks and over dubs in about 8 hours. In late 72 Ron left the band. We changed managers and moved our base of operations to Seattle, Washington. From there we played Vancouver, BC, Spokane, Ellensburg, and several other towns in the state of Washington. During our time in Seattle we played a club north of down town called "The Aquarius". It was a bar/dance club that had major acts several time a week. We got to play shows with the Eric Burdon Band, Bach man/Turner Overdrive, James Cotton Blues Band, and several other national acts. In 73, we took a job in Anchorage. Alaska. Three months starting in September through December. It was quite an adventure. What happened in those three months could fill a book and most of the stories are almost unbelievable, but we were there and we know they are true. After that we went back to Seattle and did several Showcases for agents and record people. We got a couple of bites from one of the Showcases and decided to go to LA and do a Showcase there. We arranged tor two nights at "The Whisky A Go-Go". We sent our manager there for several months lining up-agents, record people and management companies to come to the show. There was a mix up and the place was double booked for that weekend so we made a deal with the other band. We would do one night and they would do the other. I don't remember if any people of consequence showed up but if they did they didn't approach us. Total bust. We came back to Denver very disappointed and down . We played a couple of times in Oklahoma City after that. Apparently some body from Shelter Records came and heard us. Our manager went up to Tulsa and met with them. He didn't tell us the whole story, but he turned down their offer because there was no "up front" money. A couple of years later Bobby Barth said he ran in to someone from Shelter who said they still had a contract for us on his desk. But that was long time ago. Our last big show was in Pueblo in June of 1974. We were second billed at the first stadium show ever held in Pueblo The heacfliner was "Red Bone". By then we were down to a three-piece band- Bobby Barth, Carl Maroon, and Charlie Ferrill. Shortly after that we each went our own way. Bobby Barth went on to play with many notable acts since then. Axe and Blackfoot being the most famous.